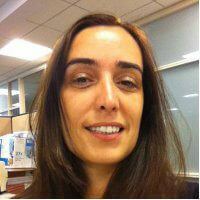 Ana Pierro serves as an expert in regulatory change management for a large financial company in New York City. She is responsible for regulatory change development and management of systems and programs to advise the business on procedures and policies. Ms. Pierro works with line of business to update and develop procedures and policies concerning regulatory changes within the corporate and investment bank. Prior to working at large financial company, Ms. Pierro served as an assistant vice president at Pershing, where she was an expert in the implementation and development of paralegal training programs. She served as a paralegal for McElroy, Deutsch, Mulvaney, & Carpenter and Porzio, Bromberg & Newman. Ms. Pierro also served as a regulatory analyst for Porzio Pharmaceutical Services, LLC, and was a paralegal for Carella, Byrne & Bain. She has nineteen years of paralegal experience. Ms. Pierro served as president (2005-2006) and is a member of the Legal Assistants Association of New Jersey. She has been a member of the New Jersey State Bar Association since 2004 and is a member of their Paralegal Subcommittee. Ms. Pierro is an Essex County College Paralegal Department Program Adviser. She is also a member of Toastmasters International. Over the years, Ms. Pierro has been awarded with several distinctions. She spoke and presented at PDMA Sharing Conference in 2003 and 2004. She was voted Paralegal of the Month in Paralegal Gateway. Ms. Pierro co-authored various articles for the pharmaceutical industry while serving Porzio Pharmaceutical Services. She is also a publisher of a blog for the paralegal profession "The Paralegal." "I was born in Lisbon, Portugal. At the age of 13, my parents immigrated to the United States for the same reason that many immigrants come here. They were looking for better opportunities for me and my brother. So, in my teenage years I came to a new country and learned a new language. High school was tough but with a lot of hard work and determination I graduated and went on to college where I majored in Political Science with a concentration in Criminal Justice." "Outside of work I enjoy reading and writing. Recently my husband and I bought a house, so decorating has become something else I enjoy doing. Because I work in Manhattan (for now) and live in the suburbs of New Jersey I have a long commute, so I enjoy spending time at home with my family and my poodle, Adele - She is a princess and can be a handful. Something else I enjoy and which started as a hobby, is my blog The Paralegal. I don't think I have a favorite author. I enjoy reading mostly non-fiction. The last book I read was 'Flash Boys' by Michael Lewis. On my list to read is 'Stress Test' by Tim Geithner. I am told it's a pretty good recount of the financial crisis." Does Ms. Pierro have a favorite restaurant? "I don't have a favorite restaurant. I do love food and enjoy all types of cuisine. If I had to pick a favorite dish it would have to be macaroni and cheese because I think everything is better with cheese. Also, does chocolate count? I really enjoy chocolate." "I have been a paralegal since 1995. Prior to that I was a legal secretary for a small boutique in New Jersey and Chicago. I learned a lot as a secretary and I don't think I would have been able to be as successful as I have been in my paralegal career had I not started as a secretary. I took every opportunity to develop the skills I thought a paralegal should have (writing, research, organization, project management, people skills) and any time there was an opportunity to take on more work I was the first one to raise my hand. I have always been lucky in all the projects I have been placed in, although I have to admit that I am a firm believer in 'you make your own luck.' I was always ready to take on more even if that meant working longer hours. I read everything I could about the profession and joined as many organizations as I could. Once a position opened for a paralegal I took it. I convinced the attorney to let me try and worked at making sure he would not be disappointed. I billed, sometimes, more hours than the attorneys and always picked projects that would further my skills or positioned me in the direction I wanted to go. When the opportunity presented itself to work at Porzio, in their pharmaceutical regulatory practice, I grabbed it and loved it. The hours were long but we were on the cusp of something new and I wanted to be a part of it. We developed the Porzio Pharmaceutical Database which is still being utilized by some of the largest pharmaceutical companies. I also had the opportunity to do some selling and public speaking and really enjoyed it. I took the position at McElroy during a difficult time in my life where I needed security more than 'adventure.' I really enjoyed my time there and was respected by all attorneys and paralegals equally. The position was familiar to me (personal injury, product litigation) and at that time that's what I needed. When the financial crisis happened I was ready for a new challenge and decided that I wanted to be in the center of it all. I have to admit that I was not looking for a new job but I decided I needed to see what it was like to work in the financial world as the crisis was just starting. It sounded interesting and I had never done anything like that before. I think the trick is to never stop learning and to not judge a position by its title. Who knows, it may propel you to the next level or at the very least teach you something new." "Being a paralegal is the foundation of what a regulatory change management analyst/researcher does. Most of my day is comprised of research, analysis and assisting the business in developing ways of complying with new regulations. When I started working at Pershing, LLC, they did not have a paralegal department. The company employed paralegals but there was no educational program or a resource where paralegals could go to assist them in doing their jobs. I credit my ability to develop the program to an amazing General Counsel who was and continues to be my mentor. He was able to see the future and the need for a paralegal program. We put together a plan and presented it to the parent company and it took off from there. We began by educating the paralegal team in what a paralegal does and placing paralegals according to their skill levels. We then developed the educational program by inviting law firms to come in and speak with not only the paralegals but the attorneys as well. I believe that in order for a paralegal program to succeed there also needs to be an attorney program where attorneys learn how to utilize paralegals. One of the obstacles we, as paralegals, always come across is the attorneys who do not want to let go of their work because they either feel like they are going to be losing out on billable time or the attorney who feels that the paralegal is not qualified to do the work. If the attorney is educated in what a paralegal can do, I find that most of those obstacles are diminished." "I will admit that it was not my first choice. When I was going to school I thought I wanted to travel and be involved in the very exciting world of an FBI or CIA agent. I began working in a law firm as a secretary only as a way of making some money to go out with my friends. I was still going to college. As I continued working in the law firm I learned that I really liked the law and then thought that I wanted to be a lawyer…My father would have been happy with that. However, the longer I worked at the firm and learned what paralegals did the more I was intrigued by the profession. Being something so new, there are multitude of things you can do with it and if I got bored with it I could still go on to law school. Maybe eventually be a legislative assistance or even a senator. Long story short…I really like being a paralegal." "To my position of Regulatory Change Management? I think the first thing I would say is to have fun. Then I would tell them to read everything they can possibly read. It doesn't have to be a legal paper. They just have to make sure they read. Then I would tell them to write…summarize the article you just read. See if you can do it in as few words as possible and still make it meaningful. I would tell them that being a paralegal is something they should be proud of." "When I started my career the internet was very new. We still had to go to the library and look through all the books to find the cases. I think in a way I wish the internet was more available then. However, it did give me the opportunity to learn how to do research in a library. On a professional basis I wish I knew how important networking would be in my career. I would have started much sooner. For a long time I worked and worked and never really got to go out to meet new people who had the same interests. If I had to give a new paralegal a piece of advice I would say networking." "I think first and foremost is to know your strengths and develop those. We can't all be experts at everything but we can be experts at one thing…OK, maybe two things. Develop those skills that you have and use them to your advantage. Secondly, I think that working hard is crucial. In addition to working hard, working smart is a quality I think every great paralegal needs to develop. What do I mean when I say this? Well, remember you do not have to do everything. There are people in the office who can help you finish that very large project you are working on and they are there for that very reason. If there's a copy room, have them make the copies while you draft the letters. If there is a secretary who can help you, ask her to draft the letter while you put the documents together." What does Ms. Pierro think makes the difference between a good paralegal and a great paralegal? "I think a great paralegal never stops learning and knows that there are no limits as to what he/she can do." What's one of the things that she finds most challenging about her job? "Every job has its good and bad things. There are things that I can do without such as the politics that happen when there are a lot of people working together. As the time passes I learn to deal with it and not let it bother me so much." What would Ms. Pierro say is the most important thing she learned as a paralegal? "I don't look at learning as one being more important than the other. I think everything we learn serves us in the next step of our progress." What is the difference between her and other paralegals doing the same thing that she does? "I think the biggest difference is that I'm me. I'm not really sure what the difference is besides that. I know that I have succeeded because I'm determined to succeed and I do not like to give up so I will persist until I figure out a way to make things work." What is the best part of Ms. Pierro's job? "I really enjoy working with people." What's the favorite part of her day as a paralegal? "My days are all different. There isn't one part of the day better than another. My mornings are usually taken up by research and analysis of new and changed regulations, so it gives me an opportunity to work at my own pace and I reserve the afternoon to do more of my meetings and talking to people. I have the luxury of scheduling each day according to my own internal clock." What is Ms. Pierro known for professionally? "I have always been good at research. I think that comes from really enjoying reading and not minding spending time on my own. Some people are better at working in large groups. I like to have some me time and reading and research always provides me with that. I also am very competitive and when I'm researching I look at it as a competition. I imagine someone hiding something and it's my job to find it. This always works…"
"I think the paralegal field in New York is growing and more and more people are becoming aware of what a paralegal does. I think the challenges in the profession are not so much specific to one particular state. I think the profession needs more exposure and perhaps more organization. I think we need to start thinking about developing some type of continuing education program. I'm not sure if certification is the way right now. I think we have to work on developing the skills of the paralegals currently on the market. Maybe provide them (us) with some type of grandfather clause and then mandating continuing education courses to ensure that the profession doesn't become stale. I think we also need to start concentrating some of the education efforts on educating the lawyers as well as the public as to what a paralegal is. Once all these steps are in place we can then begin to think about a certification program." If Ms. Pierro were not in this profession, what would she most probably be doing? "I would probably be doing something where I could get the same satisfaction as I do today. I haven't really thought about it." Where does she see herself in five years' time? "I am currently trying to figure out how to go from employee to being self employed. I would like to think that in five years I will have my own paralegal business as an advocate for the paralegal profession and as an educator. I would love to do speaking engagements and help companies develop their own paralegal programs." What motivates Ms. Pierro to be a paralegal every day? "Knowing that every day is going to be different." Does Ms. Pierro consider herself a mentor? "Yes, absolutely. I think as a blogger for the profession that is exactly what I am. I think of myself as a mentor and a role model for the new paralegals. I want everyone who chooses this profession to choose it for the right reasons. It's a hard profession and sometimes frustrating, but it's so worth it." Is she involved in any volunteer activities? "Not at the moment. I'm working on starting my own business so all the time I have is pretty much taken up by business development." Who inspires Ms. Pierro? "In my personal life I draw my inspiration from a lot of different sources. In my professional life I am inspired by attorneys and other paralegals. Specifically, I am inspired by two of my previous bosses who taught me that no matter what believe that I can do it. They gave me the opportunities I needed to develop my strengths." Ms. Pierro was featured on Vicki Voisin's The Paralegal Mentor blog. How does it feel to be recognized for her work? "I think it's a great honor. Vicki has been one of the paralegals I have always looked up to. She's not only a great resource but she is also ahead of her time. Being recognized by her is an absolute honor." Will she continue her writing engagements? "I enjoy writing and my plan is to continue writing my blog. I'm hoping to turn it into something more than just a blog. I am cooking up some ideas that I would love to see come to fruition. Writing is definitely a part of the future plan." Ms. Pierro has accomplished a lot in her career. What's next for her? "Taking my blog to the next level. I would love to use the blog as a means of educating others in the profession and about the profession. I also would like to see it as a springboard into something else. I have so many plans but I am still working on them. I would love to get more speaking engagements and work with corporations in developing paralegal programs." Helen Antoniou McGowan, an attorney at McElroy, Deutsch, Mulvaney & Carpenter stated, "I enjoyed working with Ana during her time at McElroy, Deutsch. She is conscientious, responsible and hard-working, and I knew I could trust her to manage the files we worked on together. Because of these attributes, I know that she will continue to succeed throughout her career." Daniel Winters, a partner at Reed Smith LLP , noted, "Ana is detail oriented and able to handle multiple projects at once. She takes initiative and is willing to help out when needed on rush assignments." Elizabeth Ollinick, an attorney at Rupp, Baase, Pfalzgraph, Cunningham & Coppola said, "Ana played a significant role in getting Porzio Pharmaceutical Digest off the ground. She performed the bulk of the initial research for the Digest and managed a team of paralegals once the Digest took off. She also played a significant role in selling and marketing the Digest. Her work demonstrates her research, writing and management skills, as well as innovation and self-motivation." If you're trying to find corporate paralegal jobs, click here. LawCrossing is a great site, and my experience with it was very much satisfying. Thanks! LawCrossing Fact #66: Users can easily locate jobs in their areas when they type in their zip codes before they search.